Thore Lassen was educated at the Aarhus School of Architecture in 1978. Thore Lassen Design is a design office with experience in furniture design for contract suppliers. Their design process is based on... Read more a functional and constructional analysis, innovative idea generation, combined with a marked and clear form language. 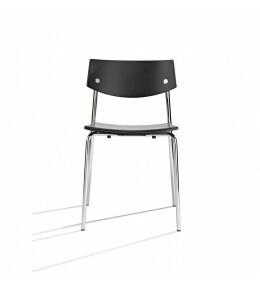 Base Armchair by Thore Lassen is stackable (up to 7 chairs), ideal for office meetings and conferences. 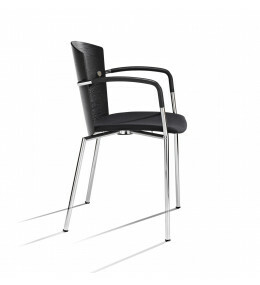 The double curve of the seat and profile of the back of the Sharp chair provides ergonomic seating.